In order to make sure you get the date and time of your desire, we highly recommend to secure your cruise as soon as you have your plans set up. OUR CANCELLATION POLICY allows you to cancel your cruise with no penalty up to 24 hours before the cruise so your commitment with us is flexible in-case of a change in plans. Most of our specials are time-limited or season-established; book your cruise today to enjoy great savings. 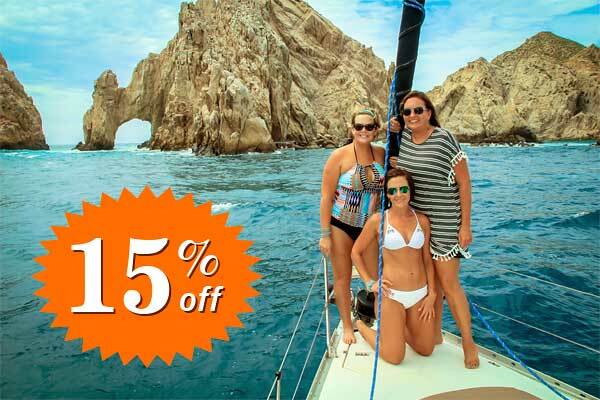 Plan your vacation ahead and enjoy 15% off for any of our cruises. 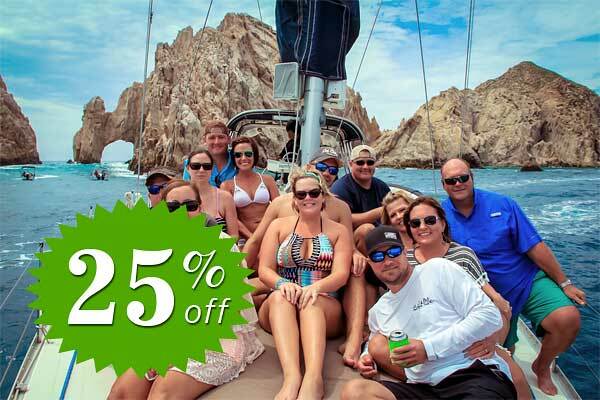 Saving applies for both Private and Shared Cabo Sailing cruises. 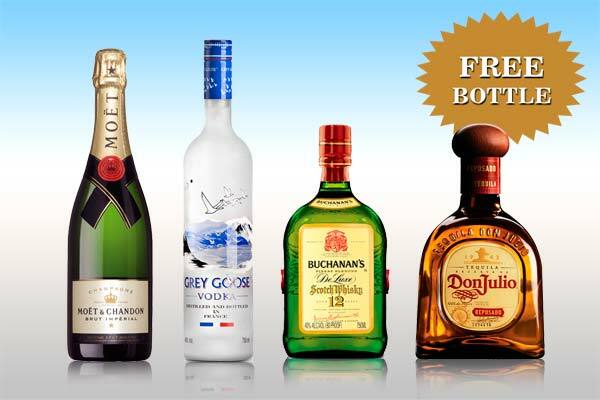 Your choice of Moet Chandon, Gray-Goose, Buchanan’s or Don Julio by booking a private motor yacht cruise, in addition to the free open bar offered on board. Free sparkling wine when booking a private sailing cruise. Only avaialble aboard the 42 feet sailing, in addition to the free open bar offered on board. Save 25% when booking your second cruise during your stay. This amazing offer apply for two cruises taken not more than 8 days apart. Surf & Turf 3 course gourmet dinner prepared by our house chef acompanied with ice-cold mixed drinks and wine. Vegeterian and other optional menu are avaialble.